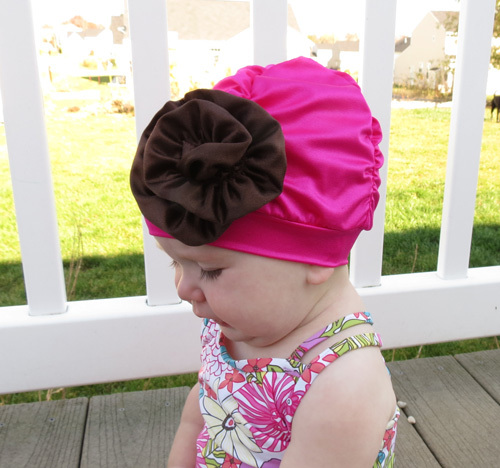 You are looking at a fashionable lycra swim cap! 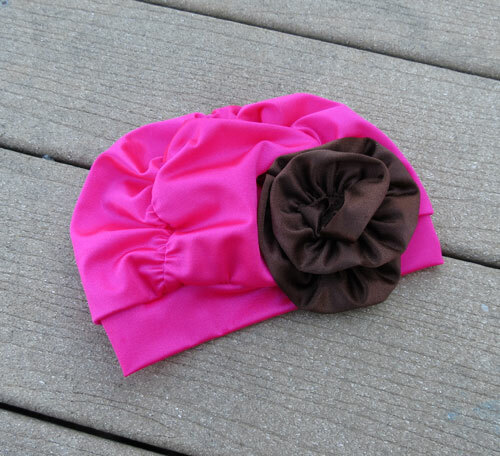 It has ruching and a large brown rose. 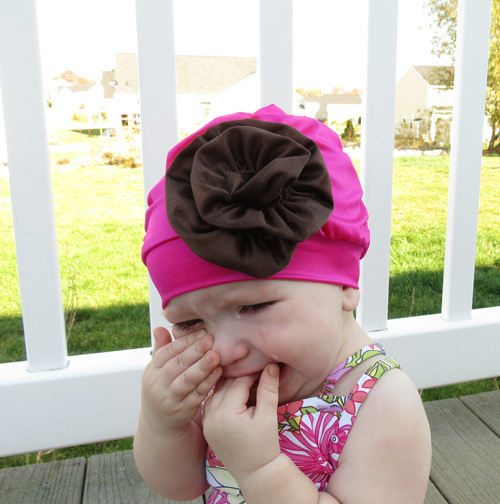 It would make an adorable addition to any swimming ensemble.